How do you spend your free time? Do you prefer going outdoors, go to a big social event, or you just like to enjoy in a relaxed home atmosphere with your favorite tv show or movie? Each of these three choices has certain advantages which is why they are perfect for many different occasions especially those that include escaping from everyday commitments. As time through the day goes quickly, obligations list grows, which can lead to a feeling that sometimes we can't be part of things we like the most and consequently we forget about ourselves and our own needs. Sometimes little break would be sufficient to get the motivation and the energy needed to deal with everyday tasks. No wonder that many people want to spend time in places far away from people and where privacy is respected. Do you remember the moment when you previously agreed to go out, but you've come up with a reason to postpone it because the option of lying on the couch beneath the blanket is much comfortable and more enjoyable? Also, in the privacy of your home, you can devote yourself to activities that you would otherwise not be able to fulfill if you spent a day out. Reading books, watching movies, drawing, etc., can improve creativity and have a positive influence on us, and the opportunity to renew your energy should also be mentioned. When talking about vacation and traveling, it is assumed that we are going to another city or country to change the environment in which we live and break its routines, but sometimes there is a personal disagreement about going on travel or staying home. Many reasons for not going to the vacation probably include avoiding big crowds which would further "block" the possibility of fun and rest as well as lack of privacy. Traveling outside of the summer season can be a solution, but there is the possibility of bad weather which leads to fewer activities that are available right in the middle of summer (for example if we are talking about active vacation). You must have wondered at least once how the legendary Robinson Crusoe survived years on a desolated island and fought to ensure survival, or maybe for a second, you must have thought at least once about putting yourself in his shoes. There is one interesting fact about Robinson. Did you know that Robinson Crusoe's story is inspired by a real person who really lived on a desolated island? It is assumed that the story has been written in line with the adventures of a man named Alexander Selkirk who has left the ship and a crew because he had an argument with a captain. Their ship was damaged so the captain sad that they should carry on, but Selkirk disagreed. For a still unknown reason, Alexander stayed on the Pacific island near Chile, and that story was enough to inspire Daniel Defoe to create a legend about Robinson Crusoe. Having a vacation in Robinson's style is not something that travelers would first think about when they plan their next travel, but you must admit, such experience would certainly be unforgettable and might serve as an inspiration or motivation for other ventures. Who would not cut the links with civilization and for a change enjoy the summer in privacy? Of course, today's Robinson tourism does not include making its own canoe, wooden house, domestication of animals and things like that, it emphasizes the idea of escape and rest from everyday life, but with the possibility of using modern technology. A quiet atmosphere would be ideal for dedicating yourself to reading a book we never had time for, as well as enjoying the company of your family and friends. Do you want to avoid crowds this summer? Check out the Adriatic.hr accommodation offer where you will finally experience a peaceful holiday. Thanks to its natural beauties and many areas where nature is intactCroatia has become an increasingly popular travel destination, which is also why all tourists are putting it at the top of their travel list. 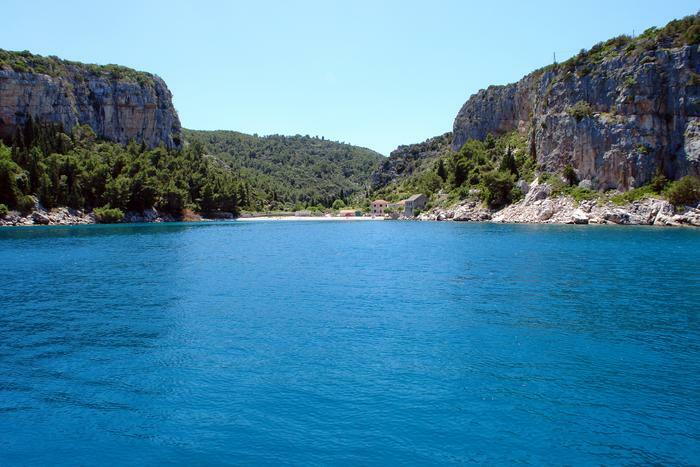 Croatian nature can offer travelers the opportunity for various types of vacations, including Robinson. But enjoyment in nature does not necessarily mean lying all day long, watching the sunset or walking along the entire voyage. The uniqueness of nature in Croatia, which is constantly emphasized, is not in its beauty but in many possibilities that can help you to avoid routine and spend the entire vacation just by lying around. With the blend of nature and the desire for privacy that Robinson tourism offers, we present you ways to have a quiet moment with your own thoughts and with the activities you don't usually have time for back home. Robinson type of homes have one of the most obvious advantages and that is being far from civilization. This can be great for those who like to go on holiday but are not inclined to spend a lot of time looking for available places on the beach, waiting in the ranks of museums or having to go to multiple locations to find a free place to dine. Looking for a different adventure this summer? Check out our Robinson accommodation offer where you will experience unforgettable moments. Robinson houses you usually have your own bay or beach on disposal, so you do not have to worry about whether someone is picking up a towel or if you are traveling with your family, you do not have to constantly check where your children are. Relaxed swimming in the sea without any worries, sounds like fun, does it? In this type of travel, you can safely forget about the building your own wooden bed or rafts or fighting with wild animals. But there are many modern hobbies that can make you feel like Robinson at least one day. Fishing, for example, is an activity that is very popular and that you can take advantage of. Besides having fun with family or friends it could be a great opportunity to catch your own fresh meal. From other active holiday activities, you can also take advantage of recreational paddling, swimming, and scuba diving. Robinson tourism offers a multitude of opportunities for those who are more inclined to active vacation. For unforgettable activities, look at the accommodation offer. Besides active ways of enjoying your vacation in a private place, Robinson tourism could be a great chance for doing something creative. Many people are looking for the much-needed inspiration for the next work but their existing obligations do not leave them enough time for that, and city life and noise can also be a demotivating factor. Because of this, the combination of natural beauty and tenderness can be triggers that will give you enough inspiration and allow you to express your creative side. What you need to keep in mind is that Robinson holiday houses have limited resources, so you will have to take care of water consumption, and you will also have to bring some food with you because you will be far from a place or a town where you can shop. Find your inspiration this summer in the best Robinson Crusoe facilities. The next time you would like to have privacy for yourself, do not rely solely on staying at home. Try to turn your desire for privacy into an unforgettable experience that will also test your abilities. Perhaps not the same experience as Robinson Crusoe had, but an experience that will put you in front of a small challenge that will make you leave the comfort zone for a while which will eventually allow you to be happy and fulfilled.